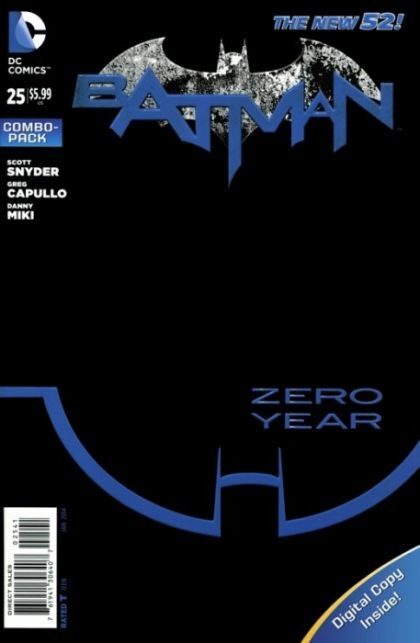 BATMAN: ZERO YEAR reaches a new level as The Riddler sends Gotham City into total darkness! 'Dark City' begins in this issue that features an embossed cover. And the ZERO YEAR blackout spreads into other titles this month, affecting heroes across the DC Universe! This issue is also offered as a combo pack edition with a redemption code for a digital download of this issue.